So, I got a call from my father today. “I was just on the Costco website and now my computer says I need to update something.”I say: “is there a red X in the top right hand corner to close the windows?Dad: “No.”So I remote in and see the follow BS software update sham.The good thing is they do not install anything on your computer. The bad thing is they are just going to try and take you for $50. 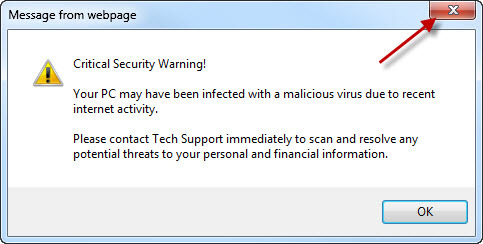 Note the initial “security warning” popup. 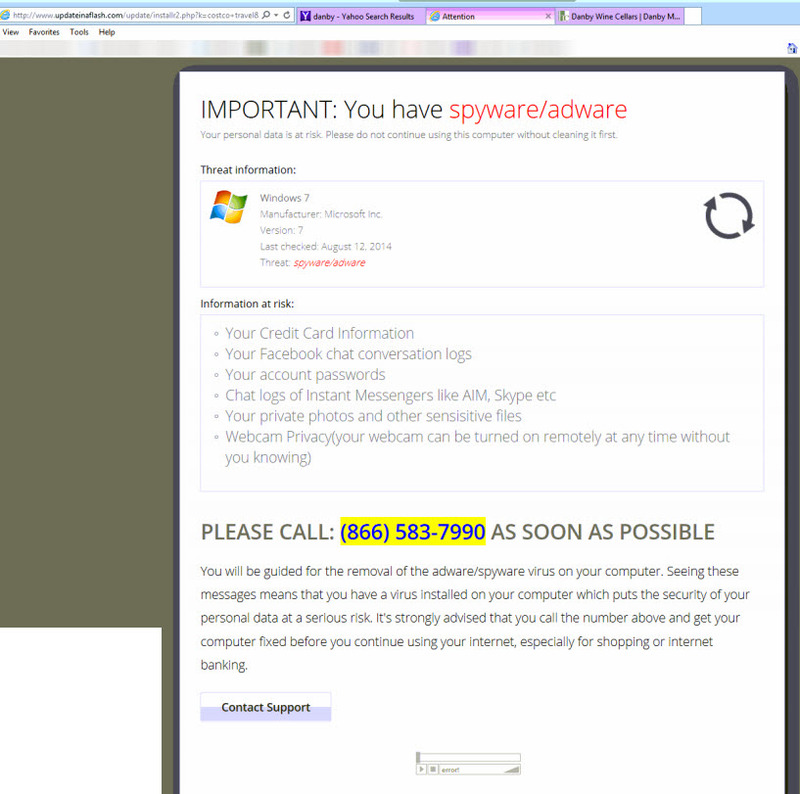 Click “OK” is fine and will cause no harm, but it will take to you their website and the next somewhat startling screen. My preference is to “X-out” by clicking the red X. If you get to this primary screen, they try to prove they know something is wrong by stating your operating system and some random items. Finally the last bit of, “are you sure you want to leave” BS. 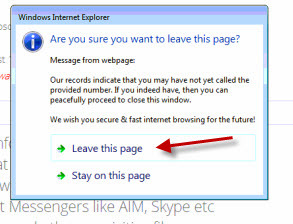 Yes you want to leave, so click “Leave this page”.